Season the cod with salt and pepper. Broil the cod until cooked and flaky, about 6-9 minutes. Mix the mint, lime juice, balsamic vinegar, honey and black pepper. Toss with the strawberries with the dressing to coat. 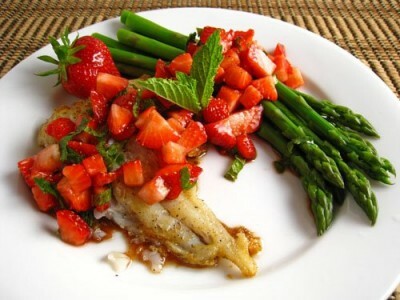 Serve the cod with the strawberry salsa.